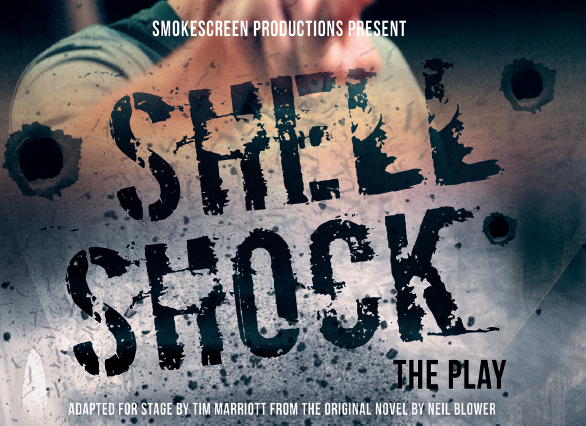 The project ‘Shell Shock the play’ tells one soldier’s story of coping with Post Traumatic Stress Disorder. After serving in Iraq and Afghanistan, Tommy Atkins’ observations on life on civvy street are poignant, frequently comic and always moving. His over-emotional responses to post office queues, a trip to Ikea, his relationships and family lead to alienation and anger. The story, adapted from the original novel Shell Shock: The Diary of Tommy Atkins, highlights the work of charities such as Combat Stress and Help For Heroes and was described by General Sir Mike Jackson as: “a vivid and compassionate portrayal of an ex-soldier having to cope with post-traumatic stress syndrome, and it shows just how important is the work of charities such as Combat Stress”. The play is based on an autobiographical account of the experiences of a young man who goes on to join the army and, with his regiment, 2nd Royal Tank Regiment, is sent to fight in the Iraqi war of 2003. The play describes his struggle to come to terms with his ‘shellshock’ and finally his discovery of sources of help. For those who have not encountered PTSD, the play gives a very accurate representation of the condition and its effects. This helps us to understand the sorts of problems encountered by ex-military personnel, or veterans from this and other conflicts, many thousands of whom are still suffering today and finding the transition from military to civilian life an extremely difficult one. ShellShock has been working with the NHS, Help for Heroes, Combat Stress, Walking With The Wounded, SSAFA and Royal British Legion amongst others and are recognised supporters of the HeadsTogether and Time To Change national campaigns. In the autumn of 2016 they were awarded LIBOR funding to develop the production and embark on a trial tour. It is very much hoped this and the subsequent evaluation by Anglia Ruskin University goes some way to prove that use of the arts can help reduce stigma and barriers to care in a culture very much defined by grit.